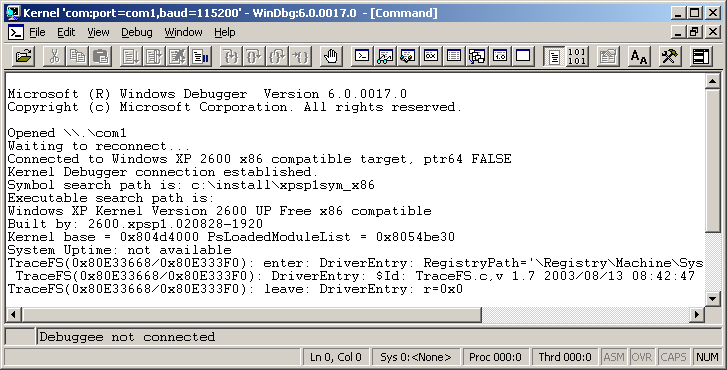 Project allows wrapping of Microsoft Windows Kernel API calls of your chosen kernel driver by your custom function code. 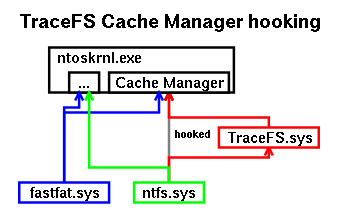 Although TraceFS was up to now used only for tracing of Windows NT Cache Manager it can be easily used ever for any other NT kernel API tracing. You need to provide appropriate function wrappers in the main source file. Framework for thread synchronizations and debug tracing is provided to prevent mangling of messages while running by multiple threads at once.